– as replies to a particular email XYZ are flying back and forth, everyone is just pressing Reply, and by now when you open the email, the scroll bar getting thinner and thinner. Besides, who wants to be scrolling through emails sent over a month ago. – make your reply look as if all the previous mails were a large attachment, so you could get a full scroll bar to yourself (left Pic). 3) The options window pops up. 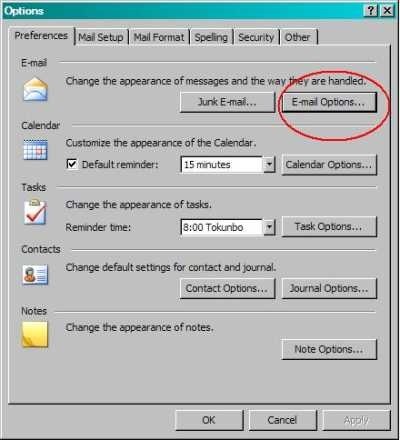 Under the Preferences menu, click EMAIL-OPTIONS the first option beside ‘Junk E-mail’. 4) The E-mail Options window now pops up. It has two sections: message handling and on replies and forwards. 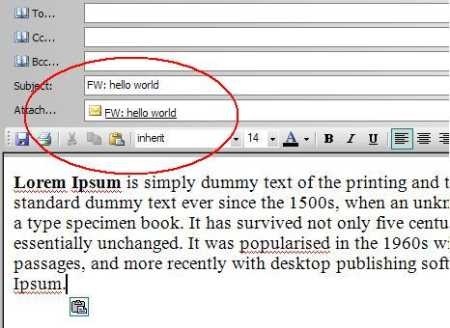 In the ‘On replies and forwards’ section, pull down the menu’s ‘when replying a message’ and ‘when forwarding a message‘. 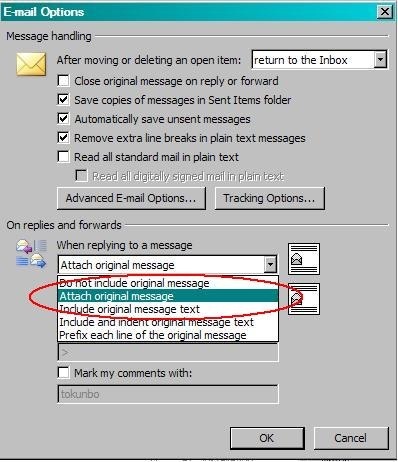 This is where you can make changes to ‘Attach original Message’ when replying to a message and when forwarding a message. 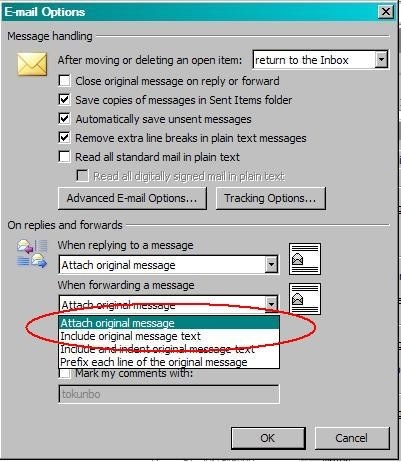 Select “ATTACH ORIGINAL MESSAGE’ . You might want to try out each option and see how the cap fits. At the end of the day, what you wanted to achieve is achieved: below.